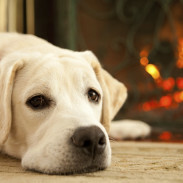 Let us worry about the pet odors & accidents! Learn how P.U.R.T. can save your carpets & furniture. 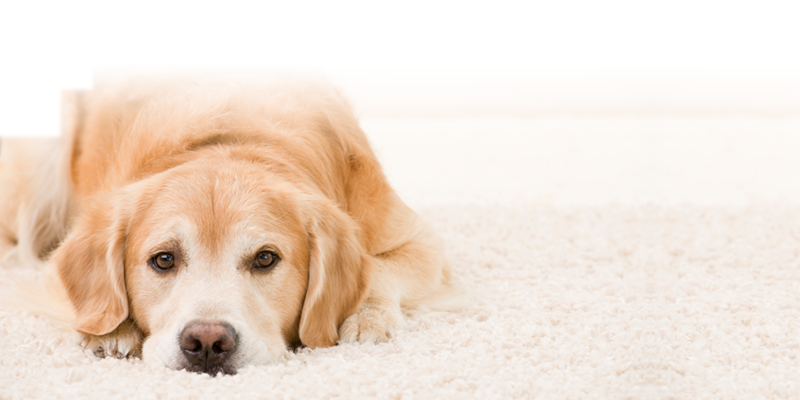 American Chem-Dry has become a trusted name in carpet cleaning for thousands of households and businesses for good reason. American Chem-Dry’s carpet cleaning services are based on the three pillars we believe are a vital part to providing customers with the safe, long lasting, quality carpet cleaning they deserve. Drier. Since the American Chem-Dry cleaning process uses 80% less water than typical steam cleaning, carpets dry within hours, not days. So you and your family can get back to enjoying your home sooner. Maintain Your Image. Protect Your Investment. 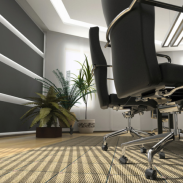 Facilities spend millions of dollars on carpeting, upholstery, leather, and oriental and area rugs as part of their overall image. Poor maintenance can adversely affect that professional image, waste thousands of dollars in misdirected cleaning costs, reduce product performance, and accelerate the need for replacement. 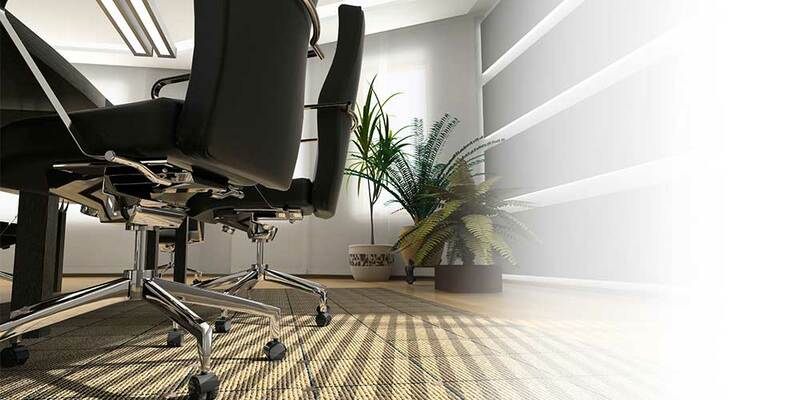 Chem-Dry understands the need to not only maintain a healthy indoor environment but also to extend the life of your expensive carpet, rug, fabric, and leather investments. American Chem-Dry uses less water and leaves less moisture behind than any other process, minimizing drying time and reducing the chance of mold, mildew, and bacteria growth. Millions of tiny effervescent bubbles burst dirt and stains from your upholstery fabrics, lifting them to the surface where they are thoroughly extracted. American Chem-Dry’s safe, non-toxic solutions actually help your fabrics stay as clean as when they were new. 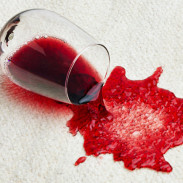 Even if you don’t have children or animals roaming your home, stains are a part of life. When you come face-to-face with a tough stain in your carpet or upholstered furniture don’t worry, the pros at American Chem-Dry have just the solution for eliminating the staunchest of blemishes. Our professionally trained technicians are equipped with state-of-the-art products that can take care of virtually all spots and stains with our Specialty Stain Removal service. Using an arsenal of safe and effective stain removal products with the most innovative equipment, American Chem-Dry can knock tough stains out of carpets, rugs, and upholstery for good. Finally, a revolutionary product specially formulated to eliminate urine odors not mask the odor temporarily. When P.U.R.T. contacts the source of the odor, it immediately begins a chemical reaction that destroys the bacteria associated with the urine odor. No other company is more qualified or able to handle your situation than American Chem-Dry. Your home, like most homes today, has a variety of floor and wall coverings. Tile – and a wide range of stone – now covers more than just your bathroom floors and your tub and shower walls. 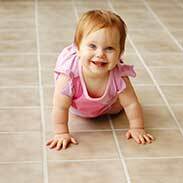 Tile and stone floors have become popular surfaces in foyers, kitchens, utility rooms, family rooms, porches, and many other areas, both inside and outside of the home. American Chem-Dry offers a convenient, on-site drapery and window treatment cleaning system that cleans your drapes as they hang inside your home. 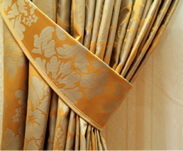 Our highly trained technicians are fully qualified to safely clean your valuable drapes and window treatments throughout your home or business. Our unique method of cleaning allows our customers to keep their valuable window treatments on the wall throughout the cleaning process. Additionally, the dry method of cleaning we use guarantees that there will never be any water marks or shrinking of the drapes or window treatments. 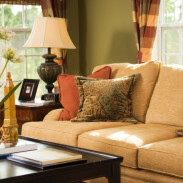 The time to have a cloth or fabric sofa or chair professionally cleaned is usually pretty easy to determine: It’s when you run out of cushions to turn over to hide the stains! But what about leather? Leather furniture and fabrics are a costly investment but can last four to five times longer than fabric. To insure its lasting beauty, though, leather must be properly maintained. The great thing about leather, though, is that unlike fabric, neglect and damage can often be corrected or reversed! SQUISH is not a sound your carpet should ever make. So, when an unexpected leak or flood occurs, rest assured that American Chem-Dry is the most qualified firm to get your home back to normal. 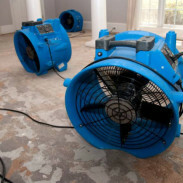 Our Professionals are industry trained and certified in all aspects of water damage restoration. Each of our senior technicians is IICRC Certified with classroom and hands on training to better serve the restoration needs of our customers.